Hospital wards for cats and dogs at all of Portland Vets branches. 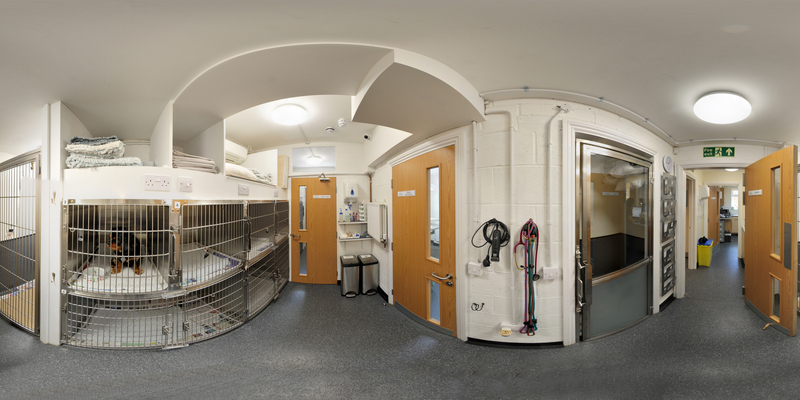 All Portland Vets practices have comfortable dedicated dog and cat hospital wards, plus an isolation area (at East Grinstead) for those patients with infectious conditions or for those that just require solitude! These wards are constantly monitored by our patient care assistants (PCA), and each patient is assigned a dedicated vet and nurse to their care everyday. The PCA’s provide the love and care that you would want for your pet whilst away from home and feeling poorly, with walks (when appropriate), bathing, cuddling, play time and more cuddling! All wards are climate controlled, well ventilated and cleaned meticulously. Each ward also has a pheromone adaptor (Feliway or Adaptil) to encourage an anxiety free environment, along with relaxing sounds and even anxiety calming medication (only administered after discussion with their owner). Our cat kennels are all off the ground and have a sunny window outlook and cat towers for those that like to hide or be slightly elevated. Our dog wards have kennels of varying sizes as well as walk in kennels for large patients, and shower facilities to aid our team in ensuring your companion, should they have an ‘accident’, is cleaned quickly and comfortably. We actively encourage owners to visit their pets whilst in hospital. This is usually done in the afternoon or evening as we like to keep the hospital as quiet as possible in the morning when animals are recovering from ananesthetics. A time that is mutually convenient is booked so that a nurse and/or vet can be available to talk through your pets progress and treatment.